Oh no! Say it isn’t so! 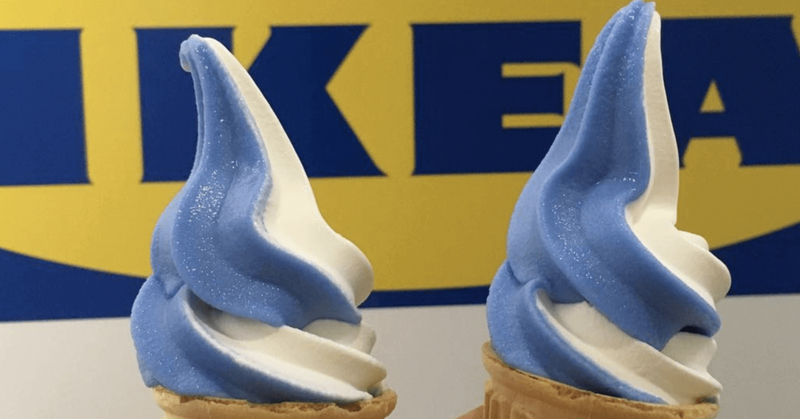 IKEA Malaysia’s signature vanilla soft serve cone has been discontinued! In a Facebook post by IKEA Malaysia, they announced that they would be replacing their vanilla soft serve with a ‘100% plant-based, dairy and gluten-free Soya ice-cream’. They added that this was part of being more environmentally conscious and sustainable. All jokes aside, though we will miss our tasty vanilla treat, we can’t ignore how unsustainable and environmentally damaging dairy farming can be. Some of the ways they damage the environment include the large amount of emissions released and the ways waste seeps into groundwater or degrades air quality. This move didn’t come out of nowhere though. IKEA announced their intention to introduce a plant-based ice cream on Instagram, way back in June. You can see their post here. As expected, the move has made a lot of ripples among local netizens. Some are furious, stating that their beloved soft serve has been replaced by something that’s not only gluten-free but also devoid of deliciousness – their opinion, not ours. Others are quite supportive of the move, raising points about environmentalism and inclusivity of those with differing diets. Those who are lactose intolerant or have celiac disease and cannot eat gluten can both enjoy this new soya ice cream to their heart’s content without worrying about bad reactions. There were also those in the middle, wondering why both options couldn’t be on the menu. After all, that would keep both sides happy, right? However, this viewpoint misses the fact that the change was made for environmental reasons as well so by continuing their contribution to dairy milk, IKEA would continue to make a negative environmental impact. Regardless, the times are clearly changing and our ice cream is changing with it. So what do you think, dear reader? Are you happy to make the jump to soy or is this not something you are interested in at all?